We’ve all been there; you wake up in the middle of the night to hear an intruder alarm going off. We’re willing to bet that most of the time, you think it is a false alarm and go back to sleep. Our alarm monitoring system does the opposite. 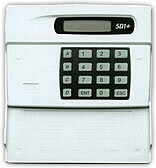 Our alarm monitoring systems work 24 hours a day, 7 days a week. As soon as the alarm is triggered, a dedicated alarm receiving centre is informed via a secure landline telephone connection and a GSM radio backup path. Within seconds of the alarm being triggered, emergency services will be despatched to your home or business. This allows you to sleep soundly at night, with the peace of mind of knowing that your home or business is effectively protected and watched over. Our alarm systems are monitored by RedCare GSM, one of the UK’s leading alarm monitoring organisations. This guarantees you the highest level of security protection money can buy. As part of the comprehensive service, RedCare GSM will also check that your alarm is working every two minutes. All alarm systems covered by the system monitoring service will be continually monitored and watched over 24 hours a day for your added security and peace of mind. Although your alarm system will be connected to our system monitoring centre by telephone and GSM radio, you will not pay a single penny for any calls made via these methods! Our SD1+ Speech Dialler is the ideal companion for virtually any alarm control panel as it provides an additional protection – not relying on just the outside bell to attract attention. Connected between the alarm control panel and the telephone line, the SD1+ stores up to four pre-recorded messages to warn of different threats, such as burglary, fire and personal attack. When the alarm is triggered, it will ring the phone numbers of four people you know and trust so they can investigate the issue for you. Our system monitoring service watches over a variety of domestic and commercial properties in Chigwell, Upminster, Hornchurch, Chelmsford, Southend, Brentwood, Harlow, Orpington Stanford-le-Hope, Romford, Enfield, Upminster, Billericay, Basildon, Dagenham and London. Please contact us today to discuss your system monitoring requirements with one of our helpful and friendly team.